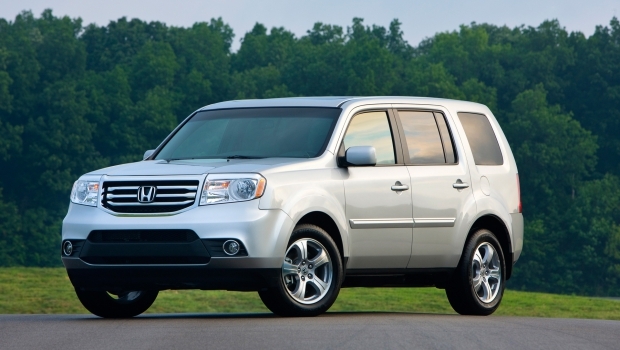 With seating for eight passengers, plenty of storage space, and a quality safety record, the 2013 Honda Pilot is one of the best options for larger families around Middletown and Newburgh. It also comes with a large list of standard features, including Honda’s i-MID multimedia display system with a rearview camera for easy, safe backing. With a seating capacity similar to the Pilot, the 2013 Subaru Tribeca is another option for larger families. We’re sure many of our customers have also taken a look at the Subaru, so we wanted to do a close comparison between the two models. With a large family, you need a car with enough space for passengers and room for everything they bring with. When it comes to space, the Pilot again tops the Tribeca. Here’s how the two match up. The split-third row bench in the Pilot allows drivers to customize the way they store things, while still taking advantage of as much of the seating area as possible. This feature is not standard on the 2013 Tribeca. Neither is a lift-up glass hatch, standard on the Pilot, allowing you to easily access the rear of the vehicle. If you would like to try it out for yourself, we invite you to stop by Middletown Honda for a test drive. Our dealership is located at 520 Route 211, a short trip from many Orange County area communities. Located next to Gander Mountain, our dealership is about a 35-minute drive from Newburgh by taking I-84. Contact Middletown Honda if you would like to learn more.